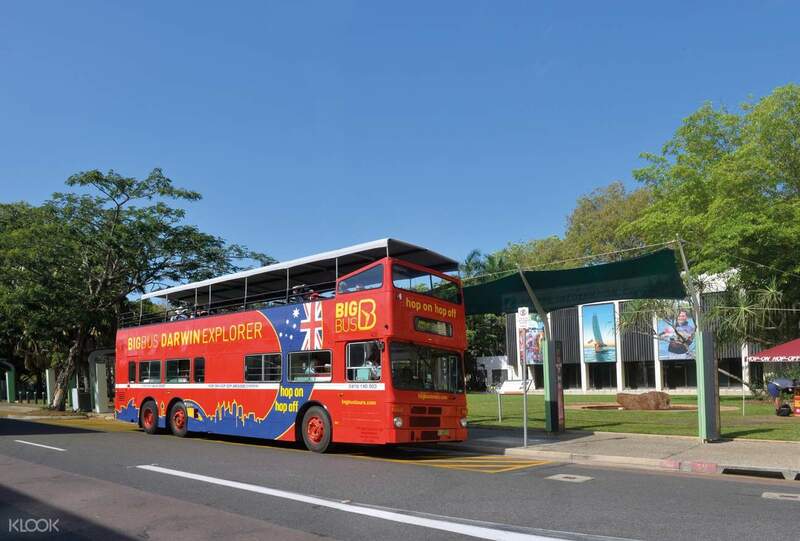 Explore the tropical "Top End" of the Northern Territories comfortably with up to two days validity on your bus pass! 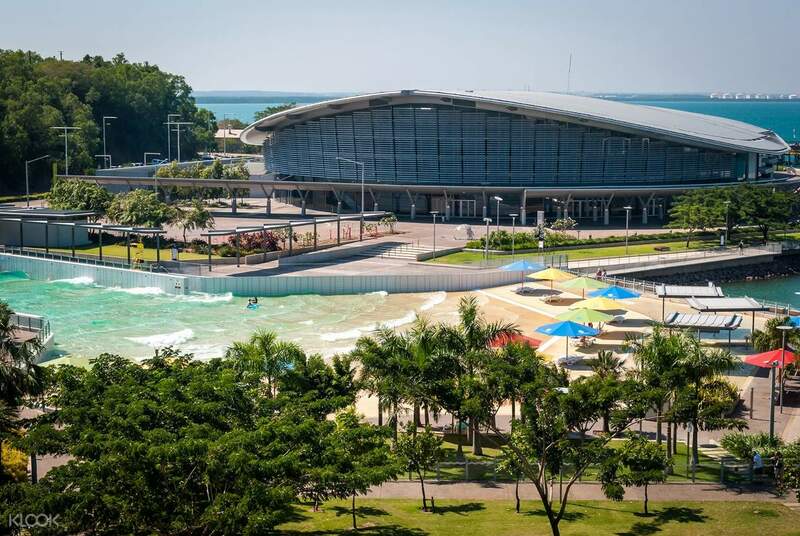 Darwin is hailed as the tropical “Top End” of the Northern Territories, offering up a wonderful array of fantastic sightseeing destinations right up at the coast. 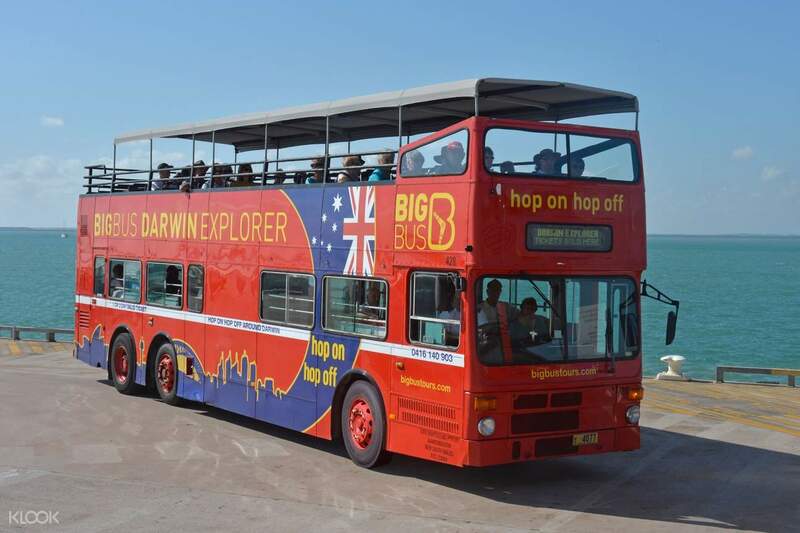 And one Darwin Big Bus Hop On Hop Off tour pass is all you need to see the most of the city and its most enjoyable sights! The Red Tour, taking place in the morning, takes you across the scenes of the coast, visiting the Crocasaurus Cove, Doctor's Gully, all the way to the tip of the Cullen Bay Jetty. Part of the cultural sights to see are the Mindil Beach Sunset Markets, full of delicious, Asian inspired food, shopping stalls, live music performances, and the beautiful sorbet-colored sunsets. Uncover history with the stops at the Museum and Art Gallery of the Northern Territory, and the Military Museum (Blue Tour only). Out in the waterfronts, at Stokes Hill Wharf, and the Fort Hill Wharf, you'll see yachts and boats pulling in, with the occasional cruise ship docking, as the splendid sights of the coast lay out before you. All the while, English commentary will be provided on the bus, giving you vital and fascinating information about each stop. In case you want to explore the stop a little more, just hop off the bus and visit the area on your own! 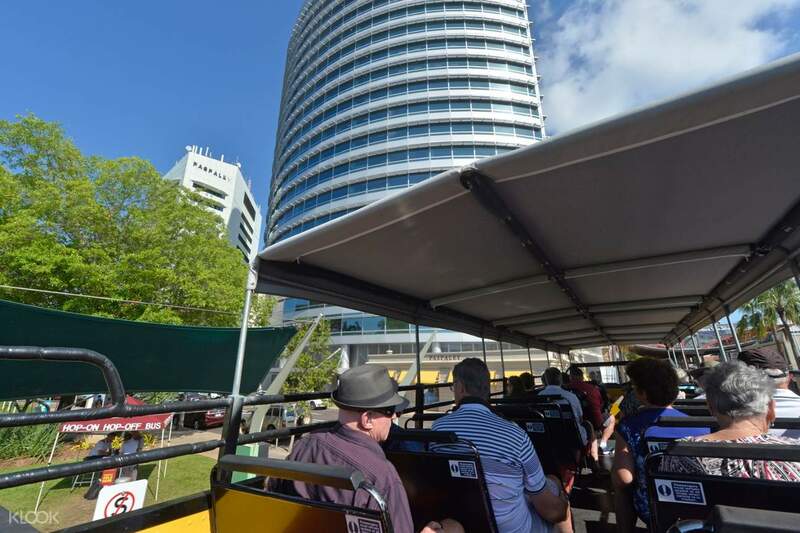 When you're done, just hop back onto the next bus that comes along and continue your tour of Darwin. With up to two days validity on your pass, you can see as much of Darwin as you want.